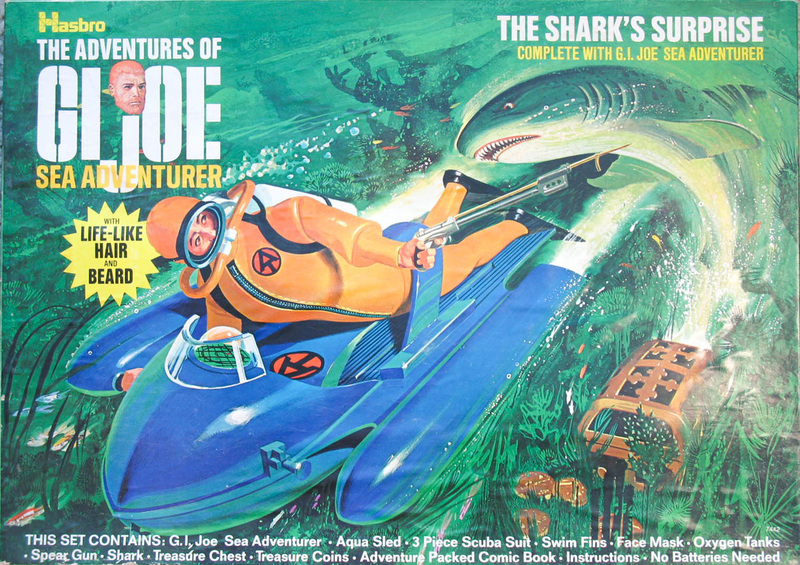 Following on the heels of the 1969 version, the Adventure Team got their own edition of The Shark's Surprise (7442). 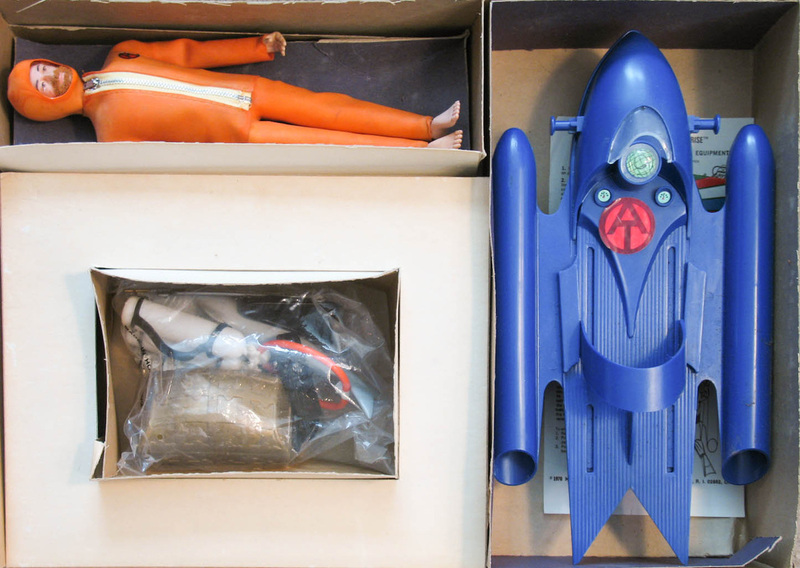 This large box set has some of the most eye-catching cover art in the line. The non-motorized version of the original Sea Sled is dressed up with the Adventure Team sticker. The always tough to find wetsuit came with a black, orange or gold cloth detail on the zipper. The treasure chest is molded in gold (despite the two-tone color on the box art) and comes with two gold and two silver coins.